I walked through the beautiful campus of my former high school the other day. One cannot traverse that sacred ground without reflecting on the rich history of academics and sports Grants Pass High School has been blessed with. Yes, the structures where I once studied, mingled, and competed during the 1960s are long gone but the legendary names still live on in modern venues: Russ Werner Track Complex, Mel Ingram Field, Heater-Newman Gym. Side-by-side in a lengthy display near the student commons – among the literal tons of championship hardware – sits an odd perplexity: two first-place trophies from the 1948 Oregon Class A Football Championships. One, despite its nearly 62-year-old vintage, is remarkably polished and without blemish. The other appears to have endured a rough life, bearing the dings, tarnish and scratches of some earlier trauma. The contrast of those two trophies in itself, is enough to pique the curiosity of even a casual observer. But why two trophies for the one championship? This is the story which answers those questions. Mel Ingram is still considered one of the greatest athletes to ever don a Gonzaga Bulldogs uniform. He was a four-year letterman in football, basketball, track and baseball. He had a short stint with the Pittsburgh Pirates, but soon left professional baseball to pursue a career more conducive to his personality and leadership skills: coaching. Eventually, in the mid-1940s, Ingram landed his dream job as head football coach at Grants Pass High School, in the fiercely-contested Southern Oregon Conference. It was here the “Gray Fox” established yet another legacy for himself. In a 20-plus year career, he led his teams to four state championships and numerous playoff appearances. His first state title came on December 4, 1948, a 6-0 defensive battle against Portland powerhouse Jefferson High. Grants Pass had earlier defeated Albany and conference rival Medford, to earn the honor of meeting the Dems in Portland’s Multnomah Stadium. The following morning, the jubilant contingent of coaches, players and family began its long journey back to Grants Pass. In those days (before Interstate 5), Highway 99 was a narrow two-lane route with long straight stretches through the fertile Willamette Valley. Then it became a winding mountain road south of Eugene. Some of the players and family were traveling home in cars, but most of the team chose to ride in the older Greyhound bus that had been chartered especially for the championship trip to Portland. The gesture was meant as a sort of “reward,” considering the usual school bus was not known for its comfort features. The team made a lunch stop in Eugene before proceeding south through the hilly Umpqua region, stopping once more in Roseburg to fuel the bus. Coach Ingram, who had ridden thus far with his boys, decided to complete the final leg of the victory journey in a car with his wife. 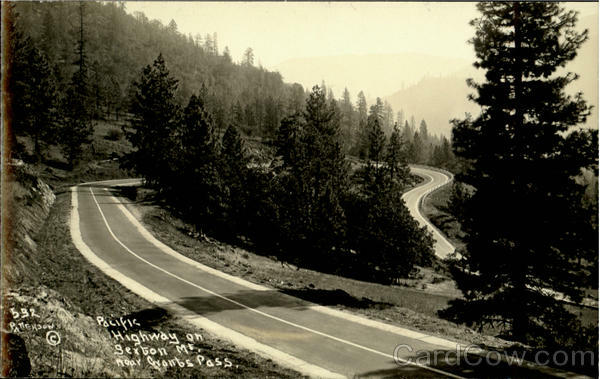 From Roseburg south, Old Highway 99 traversed a series of mountain passes with steep inclines and wooden guard rails. At the foot of one of these passes, near the tiny hamlet of Sunny Valley, several riders on the bus noticed a distinct “rocking” or “swaying” as the old Greyhound passed a large truck. The darkness of early December was beginning to fall and the driver had been advised to not delay or make any unnecessary stops, as a surprise rally was beginning to form at the high school in honor of the returning heroes. At about 5:15 pm, the bus crested the summit of Sexton Pass and was making its final descent into the Rogue Valley and Grants Pass. Team members had been passing the championship trophy back and forth—kissing it, hugging it, admiring it. Though many of the curves have since been eliminated, Sexton Pass is still a treacherous section of Interstate 5 in the winter. Some 11 miles away from a crowd of hundreds of expectant townspeople, assistant coach (and soon-to-be athletic director) Jess Loffer noticed the driver suddenly having trouble controlling the bus’ steering. The front tire caught the loose gravel on the road’s shoulder and, in one moment, triumph turned to tragedy. The bus skidded sideways and rolled onto its top, breaking through the flimsy guard rail, eventually coming to rest with its rear section hanging over an 80 foot embankment. The just-fueled gas tank exploded, and the aft portion of the bus became a blazing inferno. The flames quickly spread through the entire coach. Players who were not stunned or knocked cold by the initial impact forced their way out through windows, as the doors were jammed shut. Those exiting the rear of the bus tumbled to further injury down the steep embankment. In a matter of minutes, the entire rear section of the bus broke loose and plummeted in a ball of fire to the base of the cliff. In a time well before cell phones and laptops, passing motorists picked up the injured and rushed them down the highway toward the hospital. Word of a terrible accident eventually made its way to the waiting throng at the high school. From there, the once-giddy crowd made its way to the hospital, overcome now with grief and panic. Indeed, eyewitness reports from the athletes themselves, in a later investigation, testified particularly to the heroism of coach Loffer and one of the deceased victims, Sterling Heater. Loffer was instrumental in establishing an atmosphere of calmness, assisting player after player off the bus in the confusion and searing heat. Ray Altpeter, the student manager, testified Heater, a varsity lineman, had ushered him through a window and then retreated back into the bus, presumably to help another victim. He must have been overcome by flames or smoke, as he did not return alive. The charred remains of Heater and Al Newman, a seldom-used bench player who had finally earned his letter in the championship game, were found in the two separate pieces of the bus. The truck driver who was passed by the bus in Sunny Valley later testified that the Greyhound appeared to have a broken spring as it went by. At the funeral, representatives from schools as far away as eastern Oregon were in attendance. The entire football team and student body president from Grants Pass’ bitter rival, Medford, was present to witness the solemn event. It took some time for the stricken school and community to recover. However, three years later, Ingram took his team to the pinnacle again, bringing home his second of four championship trophies. And speaking of trophies, Harold “Porky” Dotts, all-state guard, was clutching that precious hardware at the moment tragedy struck. He is credited with getting it off the bus—possibly using it to break open an escape route. Since the trophy was damaged, the OSAA, Oregon’s high school sports governing body, wanted to replace it with a shiny new one. The stipulation was that the damaged trophy be returned. The OSAA, under the scornful eye of an entire state, relented and made an exception, allowing Grants Pass High School to keep both. Thus explains the quandary of the two trophies. As I concluded my campus walk, I was filled with pride and gratitude for the legacy of excellence I was once a part of. I was lucky enough to have played three years during the Gray Fox’s tenure. The additional legacy of heroism uncovered in my research on this story was icing on the cake. Something struck me as I walked past the impressive, modern football facility: it seemed more than coincidence that Mel Ingram Field happens to lie just adjacent to Heater-Newman Gym. 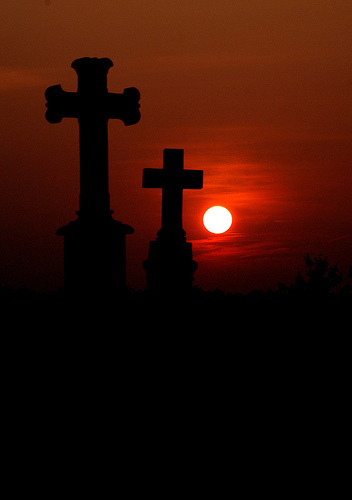 Yes, it seemed even fitting – the two of them together – the memory of the father lying next to the memory of his boys. Experiencing the jubilation of winning a championship at the highest level is a rarity. Thankfully, almost as rare is the deep grief of losing a child, a sibling or a teammate approaching the prime of life. Yet a small, southern Oregon city on a chilly December day in 1948 experienced both in less than 24 hours. I am grateful to Richard Bayless, a member of that 1948 team, for his first-person account of the tragedy, which was my primary source. I am continually amazed at the resiliency of the human spirit to recover and move on from such pain. This entry was posted on April 29, 2011 at 3:06 am and filed under reflections. You can follow any responses to this entry through the RSS feed.